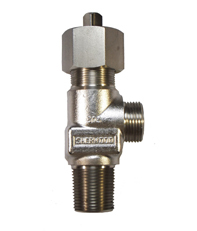 Stainless steel valve body offers proven resistance against corrosive gases. One piece stainless steel stem assures a positive metal to metal seal for increased cycle life and durability. Teflon packing promotes easy operation while providing a durable leak-resistant stem seal. 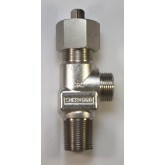 Live loaded packing design provides constant load to ensure stem seal for the life of the valve. Available with standard CGA connections as well as International inlets and outlets.